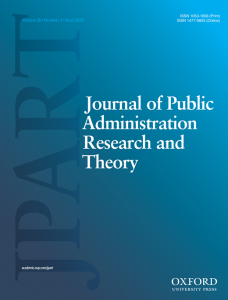 This study tests the effect of studying public administration and self-reported Public Service Motivation (PSM) on risk preferences. We conduct a compound lottery choice experiment with monetary rewards to measure risk behavior and a post-experiment survey to measure risk attitudes and PSM on three student subject pools. Empirical findings suggest that: First, students of public administration consider themselves more risk averse, but they do not behave more risk averse in the compound lottery choice experiment than business sciences and law students. Second, self-reported PSM is positively associated with risk-averse behavior in the compound lottery choice experiment. Thus, contrary to the popular stereotypical description of bureaucratic behavior, there are no substantive differences in risk behavior among future bureaucrats compared to other student groups.